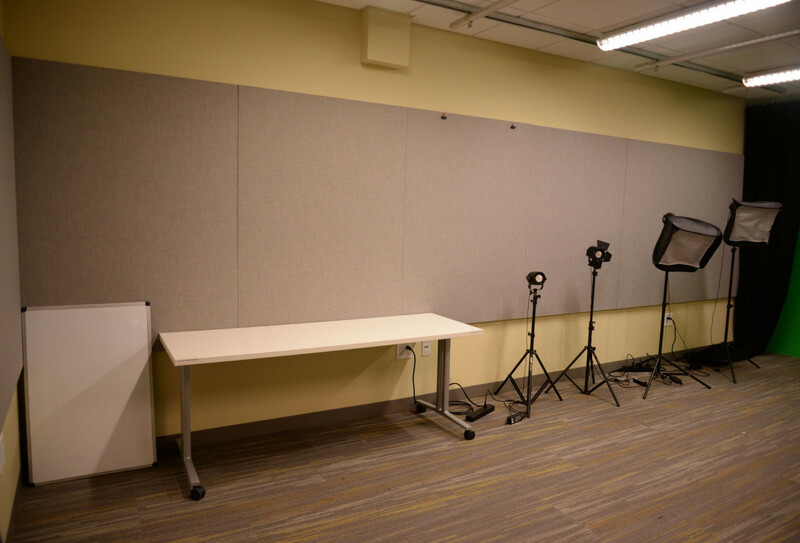 The dimension of the room is 22’x16’, the room is 9' high. 2 ceiling mounted LED lights and 7 LED lights on stands. Ceiling mounted lights: Use the control console to adjust the brightness and color temperature. Stand lights: Adjust the brightness and color temperature on the back of the light. 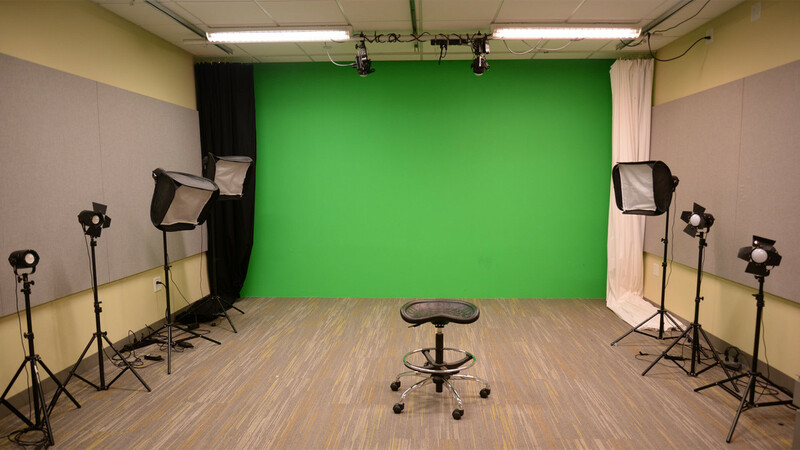 1 green wall - 16'x9"
Equipment reserved for the studio for 4 hour in-house checkout. A valid Rice ID is required to check out the equipment. Patrons are also welcome to use the room with their own equipment. Note: This camera includes a Sony ECM-XM1 condenser shotgun mic that requires 48Volts phantom power. 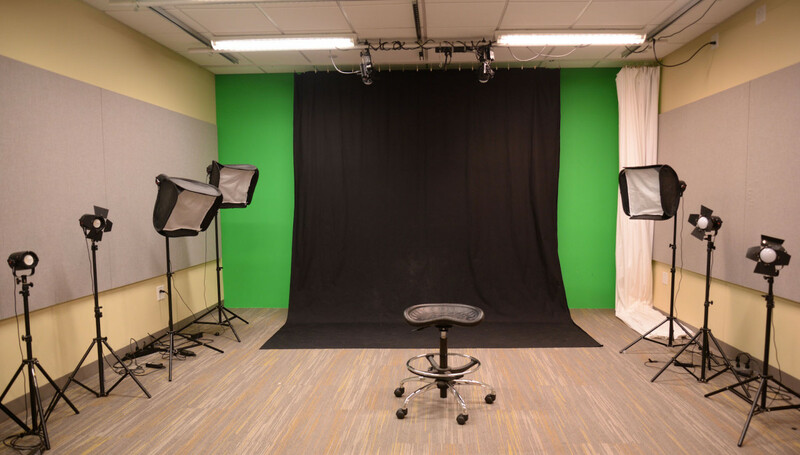 The DMC Video Photography Studio can be reserved and used only by Rice faculty, students and staff. Click on DMC Gallery to see how people used DMC Video/Photography Studio.